Your golden years should be a time period spent with grandchildren, traveling, and enjoying your retirement. Unfortunately, many senior citizens battle with chronic health issues that may hold them back from enjoying this special time period. Ocean County New Jersey is second to Florida when it comes to our Senior Citizen population, so a large percentage of patients that visit the Back and Neck Center of Brick are 55 and older. Many seniors aren’t aware of the many benefits that chiropractic care can provide, such as, relief from Arthritis, aches and pains, range of motion issues, and so much more. Arthritis has become an epidemic among the elderly. This chronic condition usually causes people to rely on prescription and nonprescription medication for pain relief. The good news is, regular chiropractic care, specifically focusing on the joints can be extremely effective and improve the symptoms associated with arthritis. We all experience aches and pains, but as we age, these aches and pains surface more often. Elderly people who are experiencing discomfort in their back, neck, spine and joints are great candidates for chiropractic care. Chiropractic care is a safe and effective way to relieve pain associated with the spine. Your chiropractor may apply gentle adjustments to realign your spine, having a positive effect on the central nervous system, discs, muscles, and tendons. Many seniors report balance and coordination issues as they age. These issues may stem from degenerative changes to the cervical spine. Structures known as mechanoreceptors are located in the back joints of the cervical spine and are responsible for relaying messages to the brain. As we age, these joint receptors become compromised, negatively affecting our balance and coordination. Studies show that regular chiropractic adjustments can help restore balance and coordination by stimulating the joint receptors in the cervical spine. With gentle adjustments, you may restore joint receptor function, ultimately leading to better balance and coordination. Many elderly people don’t get around as well as they once did, and suffer from decreased movement in most of their joints. This prevents people from living full lives, and even makes accomplishing everyday tasks difficult. Chiropractic care has been shown to effectively increase the range of motion of the spine and extremities. Increasing range of motion can make all of the difference in a person’s life. It could mean, picking up grandchildren, playing fetch with your dog, walking on the beach, and a general feeling of health and wellness. Range of motion is one of the most important aspects of musculoskeletal health. This is why all professional sports teams have a chiropractor on staff. As we age, our joints tend to break down, due to disease or general wear and tear. Regular chiropractic visits can help restore mobility and pain relief. Your spine is vulnerable to the same kind of arthritic symptoms as your other joints. If your spine is out of alignment, it can increase the frequency of wear and cause potential injuries. For example, think of your spine as a car tire. If your tire is out of alignment, the incorrect movement will cause the tire to wear quicker than if it were properly aligned. This premise is the same with your spine. If your spine is misaligned, everyday movements of life will cause the spine to breakdown faster and possibly even cause injury. Chiropractic care is a natural and drug free way to help with aches, pains, and certain health conditions. So if you find yourself reaching for over the counter medications, take a trip to your local chiropractor first, and maybe you’ll be able to cut back on the over the counter pain medications. We all know that it’s important to take care of our bodies. It’s recommended to eat a well balanced diet, exercise regularly, sleep 8 hours, and try to laugh and enjoy your life as much as possible. But as we age it’s important to take your health efforts a step further. Your local chiropractor can become a major advocate to achieve the health and quality of life you’re looking for. If you live in the Brick, Toms River, or Ocean County area, and are in search of an expert chiropractor, the Back and Neck Center of Brick can help. We have been serving patients for over 28 years, and we’re confident we can help you enjoy your golden years! 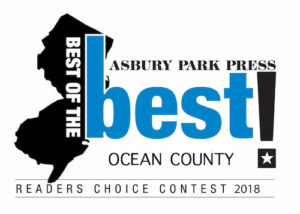 The Back and Neck Center of Brick has Been Voted #1 Chiropractors in Ocean County 9 Years in a Row. From 2009 – 2017 by Readers of the Asbury Park Press!